If you're like me, knowing where to get a good cup of coffee is one of the first things you research once you get settled in your new surroundings. If you're staying in one of the hotels or bed and breakfasts downtown, then you're close to a couple of great spots to grab a coffee. 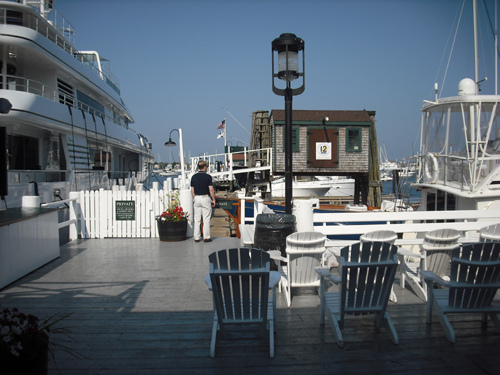 Located at 33 Bannister's Wharf, overlooking historic Newport Harbor, this is my favorite of all Newport coffee shops. 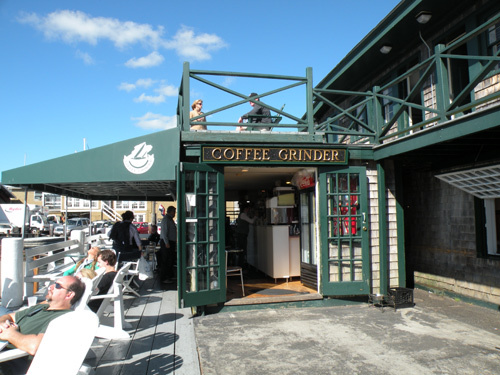 Just go all the way down to the end of the wharf, and the Coffee Grinder will be on your right. I love to come down here and relax on the Adirondack chairs next to some of the world's finest yachts. This is a great spot to enjoy the cool ocean breeze and watch the sunset on a summer night. Let me start by saying that I am not a Starbucks groupie! I don't spend all day lounging around on my laptop here. I just like the coffee. I used to go to Dunkin Donuts all the time, but once I tried Starbucks, it became the place to get my daily fix. 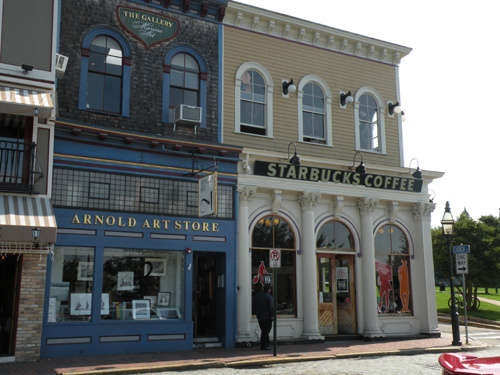 There are only 2 Starbucks locations on Aquidneck Island. 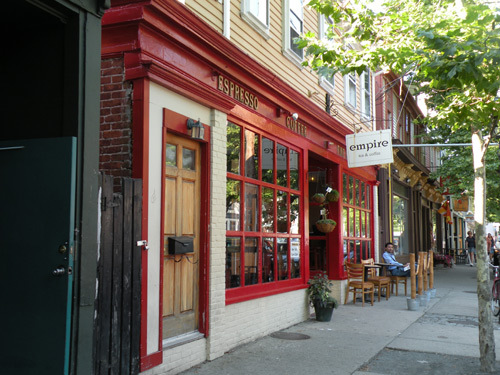 The Newport location is downtown, next to Trinity Park, at the intersection of Thames and Church Streets. This Starbucks is right in the middle of all the action downtown. It even has a 2nd floor overlooking everything, so if you're a people-watcher, you'll enjoy it here. If possible, walk to this location, because parking is hard to come by during the summer months. If you don't mind paying for parking, there is public lot nearby on Mary Street. The Middletown location (99 East Main Road) is in the Aquidneck Shopping Center, which is also home to the Christmas Tree Shops. This location is miles away from downtown Newport, but may be on your travel route in or out of town. If you love Dunkin Donuts, don't worry. Just about anywhere you go in Newport, one will be nearby. 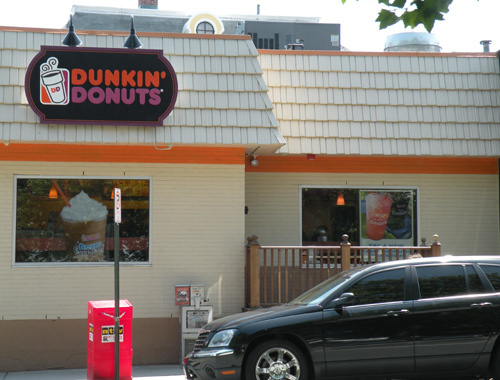 There are 5 Dunkin Donuts locations within Newport's 11.5 square miles. 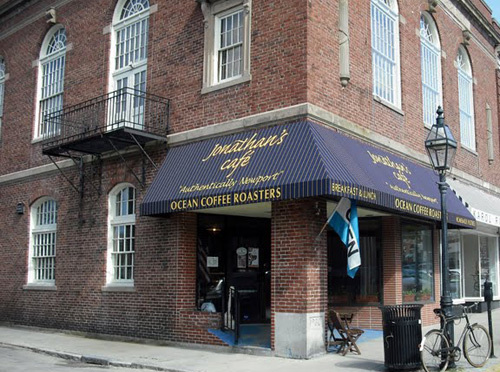 Located in Newport's historic Washington Square, Ocean Coffee Roasters is another great spot to grab a coffee and something to eat. The breakfast here rivals any of the other Newport Rhode Island restaurants. This place takes quality seriously, only buying grade A Arabica beans that they roast themselves. 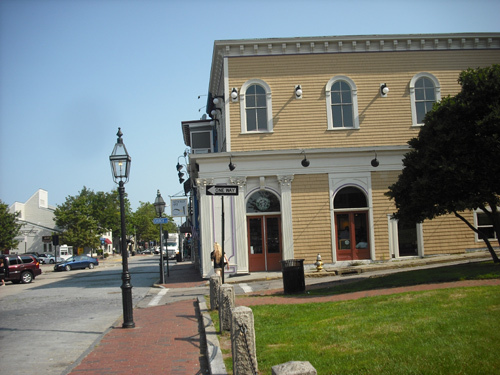 In addition to their Newport location, they also have shops in Mattapoisett, Marion and South Attleboro, Massachusetts. You'll rarely find this place this empty (the pic below was taken very early in the morning), but even if it's busy, it's worth the wait. If you don't want to be a corporate sellout, don't hang out at those other Newport coffee shops! Hang out here and enjoy the comfortable couches, wireless internet and great atmosphere. This place is the epitome of the eclectic image Broadway has cultivated over the years. In addition to the great beverages, you'll enjoy musical acts on occasion and local poets taking advantage of open mic nights. 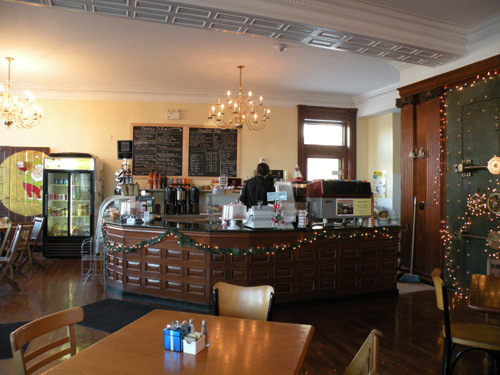 People's Cafe is located in the former People's Credit Union building on Thames Street. 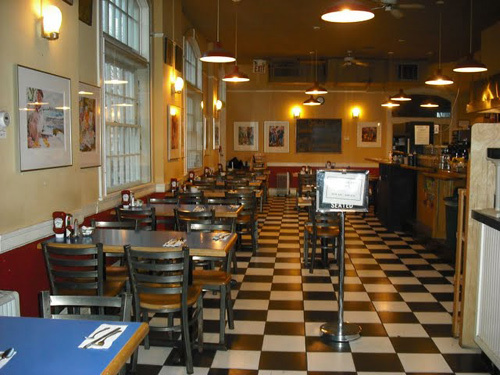 They've got great coffee, great food, live music and you can even host your private parties and events here. Need your fix right now? Use the map below to find your way to the closest Newport coffee shop.